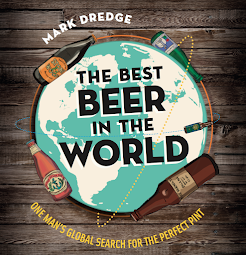 Mark Dredge - Beer: A Real Ale Lager? I picked this up from Waitrose a few weeks ago. It’s an ‘Organic Real Lager’ but comes with the CAMRA stamp of a real ale. As a beer geek I know that lager isn't ale. Is it in fact an ale? Or is it a bottle conditioned lager? (And would that qualify for CAMRA?). Anyone got any ideas?! all i want to know is....did you draw that label then just stick the camra sticker on? There's no reason a lager can't be a "real ale" under CAMRA's definition, ie "a beer which undergoes secondary fermentation in the vessel from which it is served". The distinction between "ale" and "lager" is nebulous and ill-defined, and it depends entirely upon which definitions of the two words you use whether or not they're compatible. Ah, ok Pete, thanks for that. Interesting. Lager just comes from the German word "to store" So I guess you still could lager an ale even if it wasn't stored how the term originally meant it too. Am I right that many German ales were still lagered? It’s beer’s equivalent of a vegetarian sausage..
Ale? real? lager? phoney? bottle conditioned? chill filtered carbonated and then a tad of yeast reseeded to fool you? Mark, Ghost - You can lager an ale and German ales are lagered, but is this beer a lager?! You're missing the real controversy about this beer, which is that Laverstoke Park Organic Lager and Laverstoke Park Organic Ale from That Hampshire appear to be the only beers available at James "Ey-oop ah'm from Yorksher, lass" Martin's new Leeds restaurant "The Leeds Kitchen". "Martin continued: 'Being a Yorkshireman, it’s not hard to understand why the produce is so good in the area and we are going to use it to maximum effect on the menu.'" "CAMRA says this is real ale"
Tim says it's beer. Just drink it and get pissed. I didn't say "just" beer. I think the term "lager" is a nonsense name used by marketing people when they needed to differentiate flabby old fashioned beer from new fashionable continental beer. Beer "experts" have been hung up on it ever since. The yeast strain, which is generally used to differentiate in modern brewing, I believe is becoming far too diverse to pigeon hole into two single groups. The only other way you can define lager, and far more accurately in my mind, is to define it by the maturation time, in which case most good beers are "lager" and most not-so-good ones are not. Call it "lager" if you like, and yes, there is absolutely no reason why a "lager" shouldn't be "real". Does it taste like "lager"? if so, then it's "lager". Does a cheese toasty taste like a cheese toasty? If so then it is a cheese toasty. In general terms, for the mass consumer, lager is cold, pale, low hopped and fizzy. It is an interesting thought though, how lines are increasingly being blurred. Although I do think that the distinction between lager and ale through the different yeasts is relevant - just because it means 'to store' shouldn't bear upon what it is now, in my opinion, and a lager is the yeast. Meanings change and become new things. Lager is its own name now, not just an inherited attribute or translation of a historical term. The beer doesn't, however, say what type or style of lager it is, which is just like calling something 'beer' or 'ale'. Is it pilsner, helles, bock, what? As Pete pointed out, it conforms to CAMRA's definition of real ale. That definition was never designed to include beers of foreign origin, so does not make any particular prescription about the type of yeast. There is far too much emphasis put on whether something is fermented with S. cerevisiae or S. bayanus (or whatever its newest name is) in my view. The ingredients, the strain of yeast, the water and the fermentation regime make much more difference. FWIW There are no German ales except the new-fangled IPAs being made by small brewers (and the odd large one) there. Bombardier gets it Bang On! The Beer Bloggers Conference is almost here!